Reflections on Capital of the Future Cont. The Washingtonian Special titled “Capital of the Future” included a fascinating piece titled “Where We’ll Live” based on projections for 2030 based on data from Maryland Department of Planning, Uni of Virginia Cooper Center, Metropolitan Washington Council of Governments and the Urban Institute. Loudoun County (31.9%), Stafford County (30.6%), Prince William County (29.7%), Spotsylvania County (28.2%) and King George County (28%). This did surprise me a little — I actually thought Montgomery County would sneak onto that list. I spend a lot of time looking at real estate throughout the county and have felt that there has been a big spike in young county residents, a spike that has coincided with the increase in housing density. 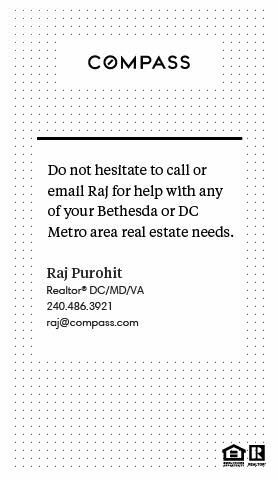 Anecdotally, here in Bethesda where I live and have my office, there are a lot of new apt. and condo buildings coming online and I am seeing significant numbers of families with young kids in these homes. I would watch this prediction closely, we may well see MoCo and others making a push up the list in years to come. If you have a young family would you consider condo or apt. living? What neighborhoods and counties seem most kid friendly to you?